Is visuality primarily a function of culture or biology? Is the body inherently sexualized and gendered? Or does culture shape desire and identity? How can we make ethical choices about representing sexuality in the media? And how can we meaningfully bring these issues--and related theories--to students? All of these questions will be examined in this Honor's Symposium. "Fractured Cybertales: Navigating the Feminine"
"Digital Difference: Recontextualizing New Media Art"
INTRO: New media have introduced a host of terms that might seem contradictory in the context of traditional art scholarship and even cultural studies. While Stephen Meadows, Marie-Laure Ryan, Janet Murray, and other writers have made cases for new media as extensions of art and literary traditions (for example, pop art, surrealism, Dada film, modernist literature, science fiction, Renaissance perspective), others see these media as completely new cultural forms that largely break with tradition. For example, Espen Aarseth has argued that the "ergodic" nature of games is so different from the defining aspects of "narrative" that we cannot advance theory by considering interactive media in literary contexts. Furthermore, while some cultural studies scholars have seen interactive media as the ultimate postmodern expression (considering death of the author and the potential for exploring multiple subjectivities, for example), others have noted modernist trends such as generative software artists’ focus on form. This panel seeks to identify attributes of new media that culturally, politically, and phenomenologically distinguish them from their predecessors in art and literary worlds. For example, how does the configurative nature of computer-generated art (e.g., games, networks, blogs), politically differentiate it from traditional interpretive work (for example, film and literature)? How might we make distinctions about types and degrees of interactivity and immersion in all of these media? How does the pleasure of experiencing interactive media correspond to our notions of pleasure in experiencing other kinds of art, viewing a film, or reading a novel? How do digital media uniquely problematize representation? And how do these problems compare to those in other media currently and historically? To what extent do these problems relate to digital art as medium versus digital art as genre? And to what extent do they indicate an art movement that might be characterized as modern, postmodern or beyond postmodern? What other characteristics should we consider when making distinctions about digital media? of Feminine Choice and Control"
A version of this paper is forthcoming in Leonardo (MIT Press), October 2007 and cannot be posted online according to contract. EXCERPT: “Stripping different media of their original distinctions, the interface imposes its own logic on them,” writes Lev Manovich, in The Language of New Media. “Finally, by organizing computer data in particular ways, the interface provides distinct models of the world. . . . In short, far from being a transparent window into the data inside a computer, the interface brings with it strong messages of its own." This presentation explores gender-related mythologies of choice and control embedded in the computer interface, and how these interface aesthetics have proliferated in real-world domestic products and 2-D advertising. LEFT: A screen grab from DivaStarz "Shopping Emergency." Miami University, 2005, "Gallery Talk"
A presentation of work ranging from the early Polystyrene Dream to the collaboration in progress entitled WE2: A New Media Adaptation of Yevgeny Zamyatin's Classic Novel Entitled We." A version of this presentation was published in the Journal of Film & Video, Winter 2006. (See publications. ) 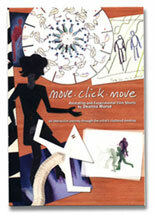 LEFT: The cover of Deanna Morse's "Move--Click--Move." Challenges for a Ubiquitous Identity, April 26, 2004. A version of this paper was published in Media-N: Journal of the New Media Caucus, March 2006. (See "Representing the Body in Cyberfeminist Art" in publications). LEFT: A screen grab from Natalie Bookchin's Metapet. "Developing a Statistically Valid and Practically Useful Course Evaluation Tool: Preliminary Findings." This paper reported research undertaken by the Teaching Effectiveness Task Force, which resulted in a unique course evaluation instrument. Pilot tests indicated that the classroom survey had an extraordinarily high degree of validity (compared with other surveys generally used for such purposes), and The University of Tampa uses this survey today. This presentation inspired the CAA panel I chaired entitled "Digital Difference: Recontextualizing New Media Art." The Tampa International Film Festival, April 8, 2005. 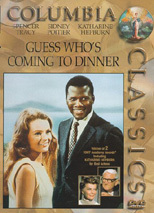 Guess Who’s Coming to Dinner"
EXCERPT: Because any kind of emotion in the film is coded as feminine and irrational from the baseline norm of male “logic,” it is unclear how the irrationality of interracial love in this film is any different from the irrationality of any kind of love. Compressing interraciality into the language of gender blocks our access to what the ethnicity issues really are. We can only see this relationship from a stereotypically white male “logical” point of view, and therefore we cannot see it at all because it is ineffable, inaccessible. It is female. "Cyberfeminist Art Practices in Interactive Media"
University of Texas at Dallas, February 11, 2004. This presentation looked at cyberfeminist art ranging from VNS Matrix, subRosa and Gorilla Girls to Prema Murthy and Natalie Bookchin. "Moving From Literature to Interactive Media"
EXCERPT: While we often see images of the feminine cannibal patterned after her male counterpart (the "man-eater" looking for conquests), we also find creative transformations of this traditionally male act into something else. This "something" might involve images of cannibalism that represent unification and wholeness--the opposite of fragmentation and devouring. At other times, we are able to see both of these dimensions of cannibalism at work at the same time, as is the case with the image of the mother both devouring and being devoured by the infant. 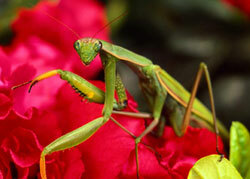 Sometimes, this "something else" is not so much a matter of a new behavior, but rather a new interpretation of what has traditionally been studied from male perspectives, such as the cannibalistic acts of female praying mantises and black widow spiders. Perhaps most importantly, to look at representations of women as flesh-eaters is to look at models of women as desirers, rather than merely desired. It is, moreover, to contemplate owning desire, which itself can be, for women, as taboo as flesh-eating itself. And ultimately, owning desire can be an act of transcending patriarchal order as we know it.